Though it doesn't have the same thrill of the Grammy's, there was palpable excitement when the American Music Awards nominations were announced on Monday. That's probably because everyone's favorite rapper from the Six managed to get an impressive number of nods: Drake broke the record for most AMA nominations in a single year, surpassing Michael Jackson. Is the Canadian Prince of Hip-Hop trying to dethrone the late King of Pop? Personal attributes aside (because we don't have all afternoon to unpack that), there may be a similar career trajectory between the two, if you really squint and want to see it. Let's examine, first and foremost, the fact that Jackson and Drake were no strangers to the spotlight by the time they broke out with their own solo records. Jackson was singing as early as 6 years old with his older brothers in the Jackson 5. He released four solo records between 1972's Got To Be There and 1979's Off The Wall, and took a quick detour into acting playing the Scarecrow in The Wiz. It was only in the '80s that he was able to burst into mega-star status with the legendary chart-topper Thriller. By contrast, Drake was recruited at age 15 to play the Wheelchair Jimmy on Degrassi: The Next Generation, occasionally showcasing his rapping prowess through the character. He released a series of mix tapes, testing the musical waters, before debuting the certified-platinum album Thank Me Later. In short, both of them spent a long time slowly building towards the legions of Mega Success. It's interesting to also consider that Jackson spent his career pushing the limits of music video artistry. You don't need to look any further than the mini-movie that is "Thriller" to see that, but a white-gloved tip of the hat should also go to the and the face-morphing effects in "Black or White." Drake, by contrast, hasn't always known for his video game, but he's been amping it up in the Views era. We've witnessed alternate takes of "Work" with gal pal Rihanna (herself a bonafide Video Vanguard) and, more recently, Drake starring the Views-inspired short film "Please Forgive Me." All this, and you can't deny that they're innovators of dance. All right, it's an egregious stretch, and, as far as Drake trying to take Jackson's place, I think it's a loud "probably not." 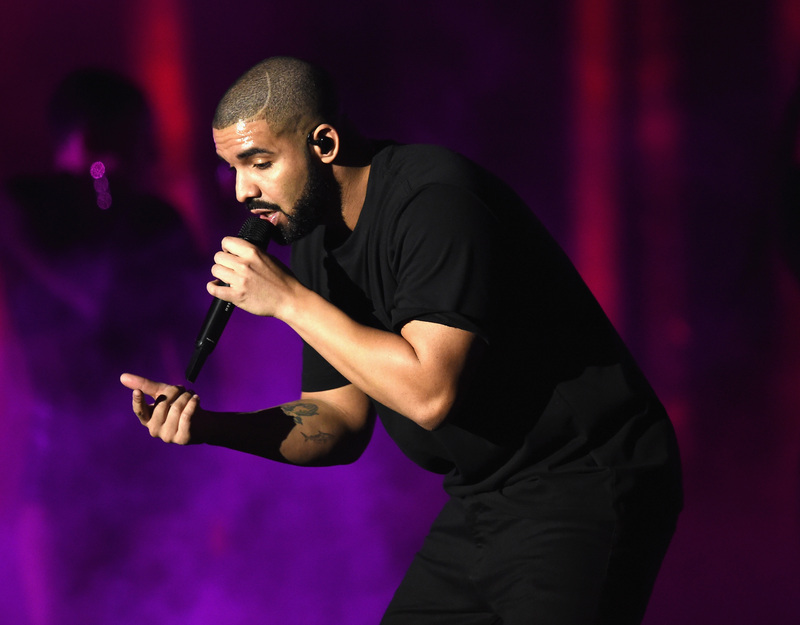 Clearly, Drake is doing his own thing in his quest for musical greatness, and we should just respect that. Still, shout-out for besting Jackson in this particular category. I'm sure that only leaves six... thousand or so more records to break. Feel free to check the full list of nominees here.